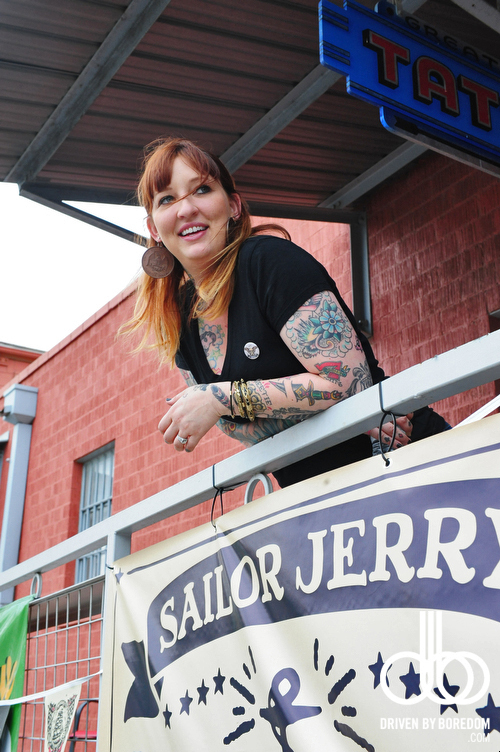 Sailor Jerry upped the ante on giving away free tattoos at South By Southwest this year. 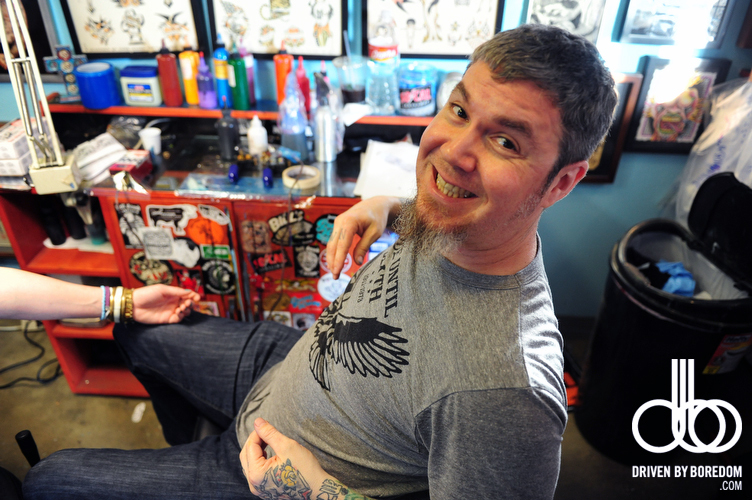 Not only did they have Oliver Peck doing free tattoos for bands and VIPs but they also had my homie Terry Brown tattooing at the Great Wave Tattoo shop with one of the locals Ben Sibert doing Sailor Jerry flash on anyone who could get an appointment. They did a ton of tattoos working pretty much all day for three straight tattoos. I even got Terry to touch up a tattoo he did on me way back at Voodoo Fest. Aside from tattoos it was just a fun place to hang out. They were selling Sailor Jerry swag as well and I managed to make it out of Austin with a new belt buckle and the documentary about Sailor Jerry (the person, not the rum). 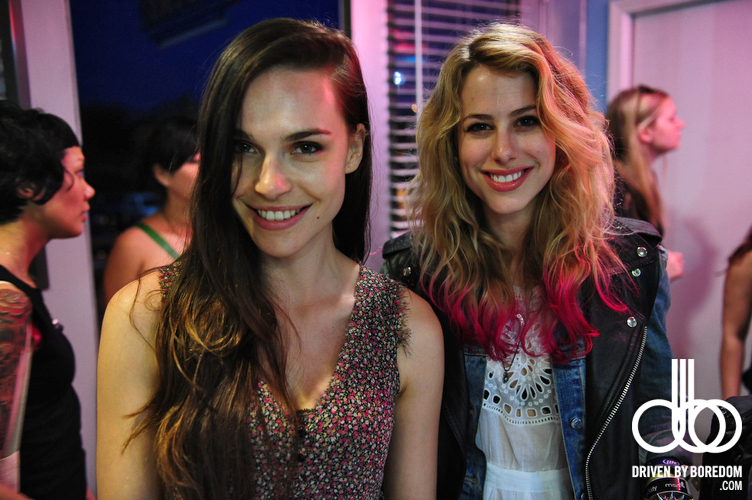 Also when Oliver got booked up I brought Sara Jean from Bleached over to get tattooed by Terry. Bleached is pretty much my favorite new band right now and Sara had a bunch of Sailor Jerry flash already so I knew we had to get her hooked up. Anyway, I am just getting back into the swing of living a normal life again so I gotta go respond to 40 emails that I didn’t have time to get to when I was in LA & Austin. 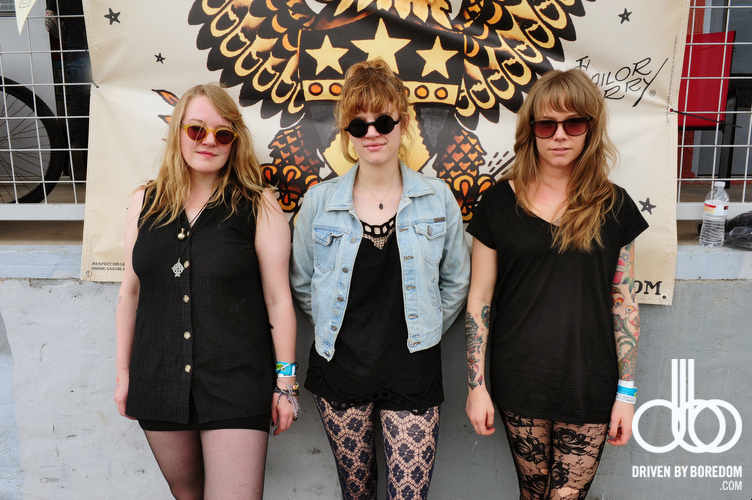 I will catch you guys soon with the rest of my SXSW stuff and probably a naked girl or two… See you Monday. 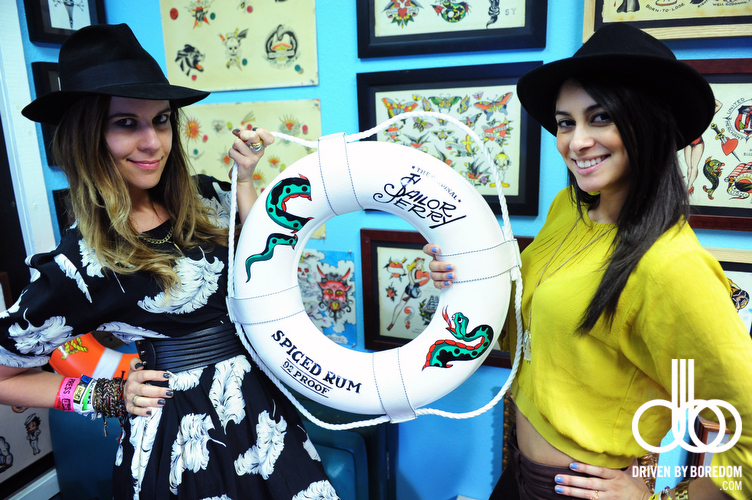 Click here to see all the photos from the Sailor Jerry SXSW pop up tattoo shop at Great Wave Tattoo. Igor you are the best!